Why have I ‘inserted’ myself into this time and place? This would be a question an aware soul might ask themselves. During a recent meditation-communion I asked to be shown more about how ‘Time’ really works, what is time really, our relationship with it, how can we work more consciously with it. How can it work with us, for us, co-operatively? Why do we feel stressed, ‘out of time’, rushed-crushed by ‘not enough time’? What if we could have time work for us – could we get rid of stress, the biggest source of disease today? Why do masters feel so peaceful and seem to move so calmly and deliberately and yet get so much done? If it was ‘created’, that means there must be a place, a position, point of view-experiencing where there is ‘no time’ – the place from where it was created. 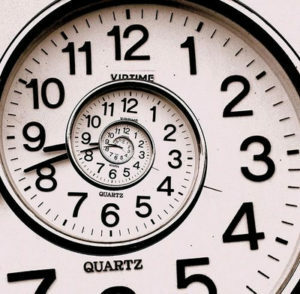 The place that created Time is beyond time, in charge of time, it is the ‘creator’ of time. What if we aligned, joined with, looked through the eyes, experienced through the consciousness that created time? What would that be like? Just imagine (Image In) that place. Get a feel for what it feels like to exist in the place that created time, is in charge of time, from where you could choose where to travel in time. During the meditation I could feel that our created Universe was like a big sphere. The whole creation like a big round ball of energy, and depending on where you placed your intention-attention, that is where you would travel to. The place you went to, the location in the big sphere of the Universe, that location would determine ‘time’ as well. Location and Time were the same, interchangeable. hmmm….sounds like what Einstein was talking about, space-time and all that. So I could feel how an aware soul, conscious of it’s own ‘journey’ and its wishes to explore different ‘realities’ and experiences — how this soul would ‘choose’ a place of Eternity, ‘Everlasting Life’, it would sit in that eternity and then have a wish to go somewhere to explore certain experiences. The one thing that can’t happen, is that you can get lost, you can’t not wake up. You have to wake up, it’s what you are. You can imagine, pretend to be ‘lost’, very well. You can make up fantasies about being somewhere you are not – fallen, sinful, unenlightened etc. But since you are at your core the Source of All, you cannot not be you. A dog cannot become a cat, no matter how much you train it. This is probably why masters, enlightened souls, don’t have any worry. You can’t get them to agree with your problems, no matter what your problems are, because they see you as the being you really are – an awake, aware, enlightened piece of the Source of All, and you’re just playing a game at being ‘forgetful’, stuck, unenlightened. A master knows you have to ‘wake up’ eventually, because you can’t outrun your self. Of course the pain is real, when we have ‘gotten stuck’ in our thinking, world views, ways of viewing reality and that’s where we learn love, compassion for each other maybe. Maybe that’s why ‘God let’s us suffer’, because from the Everlasting, No time Place, there is no suffering, and the only way to wake up is to ‘snap out of it’, we have to have death and form change so we remember who we are. All Gain & No Pain – in Pleasure we find our Treasure! Copyright © 2019 Tobias Lars. All rights reserved.